One of the best things about the Roku set top boxes is that the company behind the products is constantly working to get more content available for users. Roku has announced a new addition to its streaming line this week with Showtime Anytime landing. You do have to subscribe to Showtime on a participating cable or satellite provider to access Showtime Anytime. With the Roku devices now offering access to Showtime Anytime subscribers can watch just about anything that Showtime offers on the big screen rather than their computer. Showtime Anytime offers access to popular programs like Homeland, Ray Donovan, House of Lies, Dexter, and more. Showtime Anytime is available on all current generation Roku devices in the US. Current participating cable and satellite providers that will give Showtime subscribers access to the streaming content include DirecTV, Time Warner Cable, AT&T U-verse Verizon FiOS customers can also get access to the Showtime Anytime. Some of the popular Showtime series like Dexter are already available on Netflix. 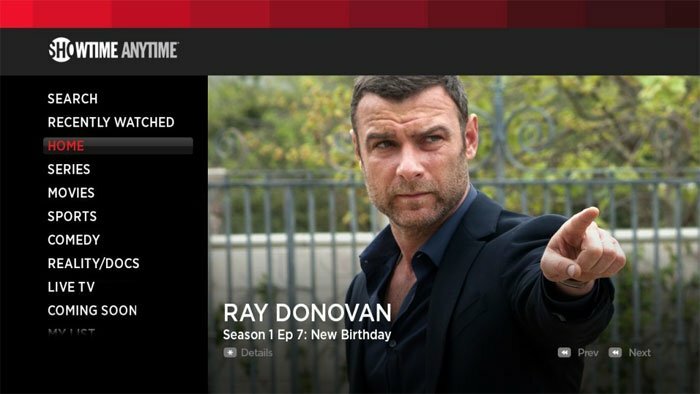 Having access on the Roku devices does give users a new way to watch current shows like Ray Donovan and others without resorting to watching on a computer or mobile device.